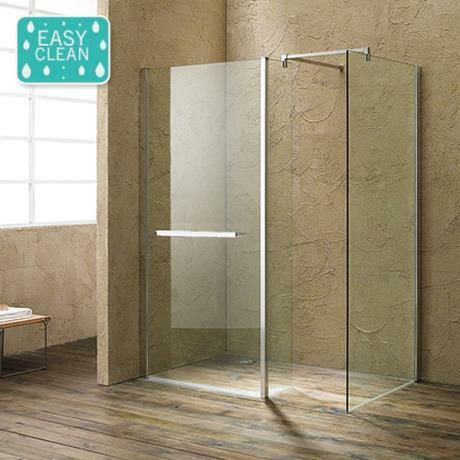 A 1900mm high luxury ultimate walk in enclosure from Matrix shower enclosures, all Matrix shower enclosures are coated with there Easy-clean system. This Coating creates a non-stick surface which resists the build up of dirt to enable easier cleaning. Coating is a totally transparent and causes water to simply roll off the treated surface. It will reduce the adhesion of mould, limescale, soap and other deposits that tend to cling to glass. All 10mm walk in units are supplied with support bars and towel rails.